Darker Still couldn't have come at a worse time for me. I have tons of things on my mind and get easily distracted. So, admittedly I kinda struggled to finish it, it took me a while. 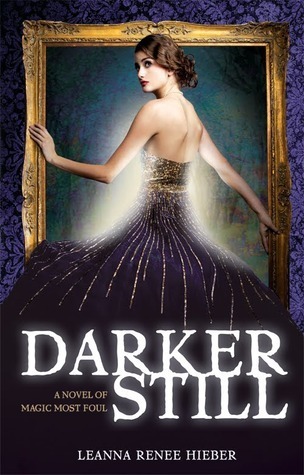 That being said, I strongly believe that Darker Still is different from other YA because not only does it combine two genres (historical/paranormal), it's also written the way historical books are written, Jane Austen style, which is something you're either going to find innovative and intriguing or confusing and boring. I was both intrigued and bored. Granted, the story Hieber chose to write isn't the most original, as the basic idea is inspired by Oscar Wilde's "The Picture Of Dorian Gray". Even though Darker Still isn't, understandably, as deep and existential as Dorian Gray was, it still made a good and entertaining read. It focused more on Natalie's and Lord Denbury's romance and how that came to be, rather than the paranormal part of the story and Denbury's malevolent half. I would have liked more of that, I'm afraid. Not that I didn't enjoy the romance, quite the opposite. 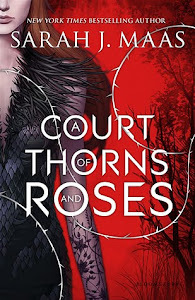 However, I think if the book was equal parts romance and actual plot/story, it would have a better flow and would be way easier to read and concentrate on. The flow of information and action was slow at times and that certainly didn't help to move the story forwards. I wanted more magic, more mythology and more bad guy scenes, which regretfully were very limited. Too bad, I kinda liked vicious Denbury! If you like Victorian era type books and intricate but elegant writing, read Darker Still. Story-wise though, I wouldn't hold my breath if I were you.